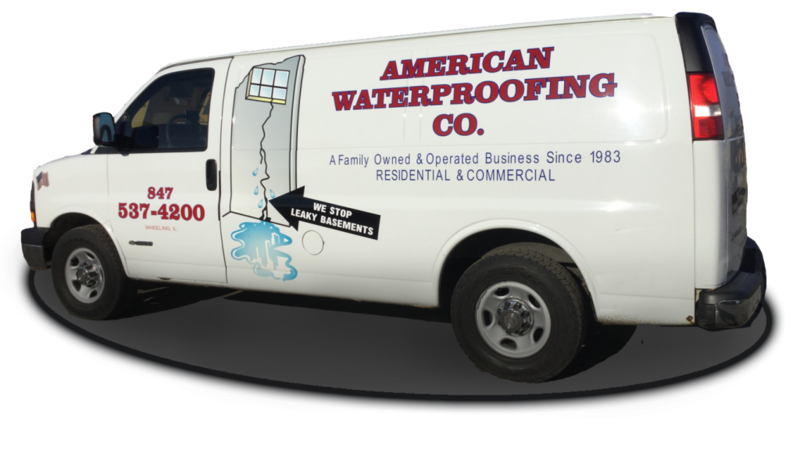 American Waterproofing Co.Welcome - American Waterproofing Co. Speak with a waterproofing expert and know your options. Our work is guaranteed for as long as you own the house! Repairs are permanent because we epoxy seal cracks from the inside PLUS pressure seal from the outside! • We install drain tile systems and sump pumps! A family-owned and operated business for all your concrete repairs. Our reputation speaks for itself; many satisfied customers! Residential and Commercial Work Backed by Written Warranty! Here are some of the most common problem areas, call us today to get a 100% free quote and instant peace of mind! 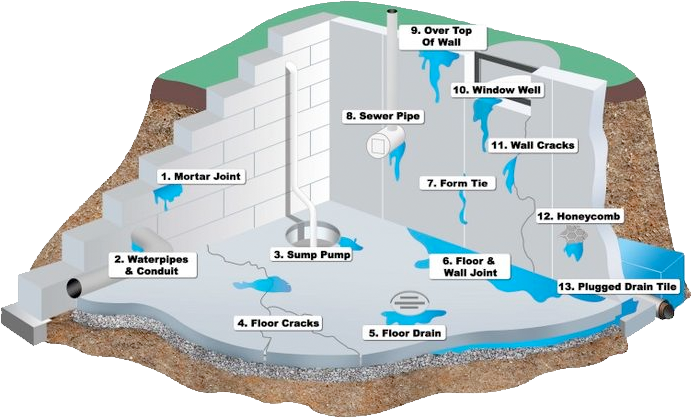 American Waterproofing, a family owned and operated business, has been successfully repairing basement foundation walls in the Chicagoland area for more than 32 years. We have based our business on honest and reliable service. American Waterproofing Co. would like the opportunity to serve your basement repair needs provided by our professional staff. We are very proud of our success rate, and we assure you that you will be just as pleased with our honest mannerism and cleanliness. 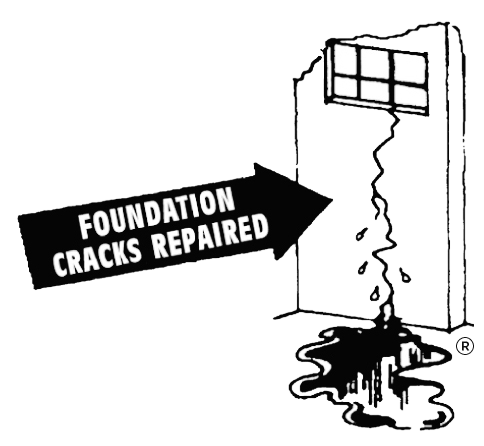 For more information, please call American Waterproofing at (847) 537-4200 and our experts will take the time to talk with you. 1. How soon can you come out and look at it? 2. Is your work warrantied? 4. Will I have to talk to an answering service? Talk to someone now, call (847) 537-4200 or fill out your information below.